Head of the EU Anti-Corruption Initiative Eka Tkeshelashvili has said she is convinced that without an Anti-Corruption Court the system of fighting corruption in Ukraine cannot be as effective as possible and justify all expectations. She said in an interview with the Interfax-Ukraine news agency that the Anti-Corruption Court is a key link in the fight against corruption and that the need to create it in full accordance with the recommendations of the Venice Commission had been repeatedly stressed by European partners. Tkeshelashvili noted that the recommendations of the Venice Commission still remain a “stumbling block” in the drafting of a respective bill for second reading. This is not just any wish on the part of Ukraine’s partners, this is a well-balanced vision of what elements must be included in this law so that the court could be really independent, effective and fulfill its role, she said. Tkeshelashvili stressed that the fight against corruption was important, including to ensure security in Ukraine. Moldova’s integration with the European Union is favored by 38% of the country’s citizens; with the Eurasian Economic Union, by 34%, according to the findings of a social survey unveiled by the Centre for Sociological Research of Moldova (CCSM) at a press conference on Friday. 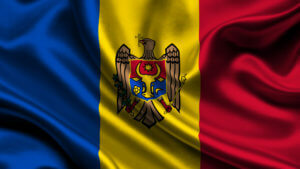 Another 22% said Moldova should unite with Romania, the pollster said. At the same time, more than half of respondents (54%) opposed Moldova’s accession to NATO, 24% backed the idea, and 22% were still undecided. Asked who is Moldova’s best friend, 38% named Russia, 37% Romania, 8% Germany, 5% the United States, and 2% named Ukraine. Other countries were cited by a combined 10%. The survey was conducted among 750 respondents in Chisinau on April-30 – May 8. The margin of error is 3%. AS Silvano Fashion Group (SFG, Tallinn), engaged in sewing and selling women’s underwear under the trademarks Milavitsa, Alisee, Lauma and Laumelle, in the first quarter of 2018 increased sales in Ukraine by 26.3% compared with the first quarter of 2017, to UAH 25.54 million. The company noted in a report on the Warsaw Stock Exchange, due to the strengthening of the euro to U.S. dollar exchange rate, in euros its Ukrainian revenue increased by 9%, to EUR760,000. According to the report, the network of franchise stores in Ukraine during the reporting period remained unchanged and totaled 50 points. Revenues in Russia increased at a higher rate, by 27.9%, to EUR10.33 million, while revenues in other markets fell, in particular in Belarus by 13.7%, to EUR3.63 million. As a result, Ukraine’s share in total revenue for the first quarter of this year increased to 4.7% from 4.1% in the past year and 2.9% in 2016. EBITDA of the company for the reporting period increased by 91.5%, to EUR5.57 million, and net profit amounted to EUR4.06 million against EUR110,000 in the first quarter of last year. The production facilities of the group unite Milavitsa factory in Minsk (Belarus) and Lauma Lingerie factory (Latvia). Ukraine’s State Fiscal Service’s press office has said 185 residents of Lviv region in 2017 registered net worth exceeding UAH 1 million or more. Most of the millionaires live in the region’s capital – 113, followed by the district center of Stryi – 11 and Truskavets – 7. 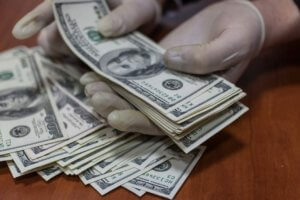 The total of declared assets was UAH 900.4 million. The millionaires are obliged to pay UAH 25 million extra on personal earnings and UAH 3.3 million in military tax. The region’s millionaire total increased by 36, compared to last year. Some 41 millionaires made their fortune selling property, from interest and dividends – 30, salary – 28 and investments – 27.